COSMIC WONDER’s Ryukyu indigo is a true collaboration of nature and handcraft. The deep oceanic blue is born only through the care of hands and the passage of time. Each piece has its own expression. Natural indigo is an ancient dye and one of the oldest dyeing methods in the world. 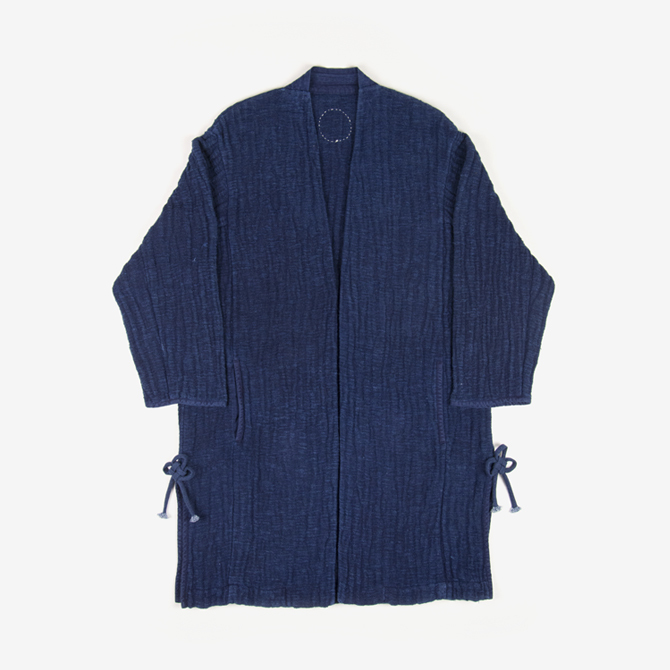 Ryukyu indigo is a natural indigo dye from Okinawa island in Japan. It is made from the aqueous precipitate of the leaves of mercury, an acanthaceous herbaceous perennial harvested in summer and winter.The dye liquid is produced through fermentation process. This traditional process has a long history in the northern part of Okinawa. However, many of the farms that made Ryukyu indigo dye have disappeared. Seisho Inoha, a native of Okinawa, is now the sole authorized preserver of this technique in the country. The deep oceanic blue is brought out by the application of twenty to thirty layers of due by a skilled dyer. We hope that you’ll enjoy the color that lives and grows with you.